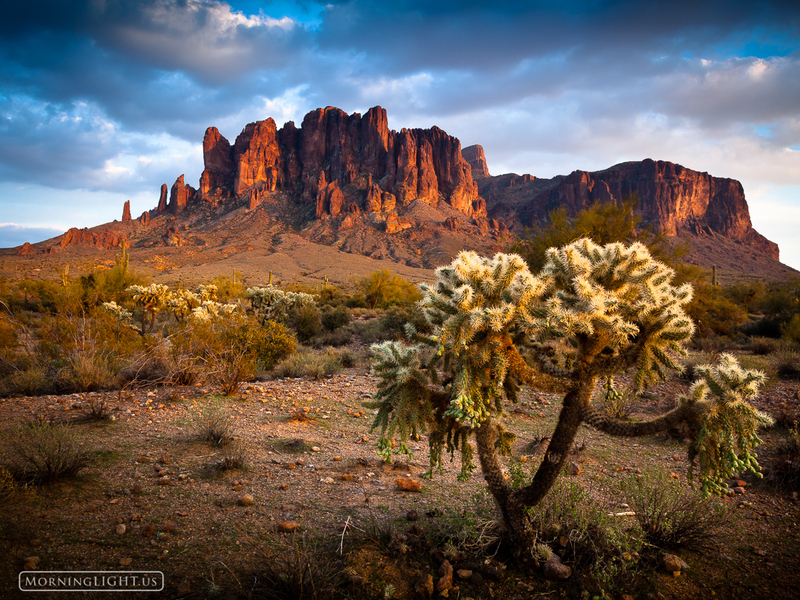 Here's another image from a dramatic sunset at Lost Dutchman State Park in Arizona. In this one I wanted to show the interesting cholla cactus. I love the way they catch the light and almost seem to glow. Photo © copyright by Erik Stensland.